1. You don't feel like your day is complete unless you check the facebook, instagram, twitter and youtube or time-hop at least once throughout the day. 2. You can't eat a meal, try on a new outfit, go to a new place without taking a photo of it in pristine condition and uploading it to instagram. 3. You take and upload one selfie onto your social media platforms. However you had to choose that selfie from around 500 other different photos of you doing the exact same pout/hair flick/pose. Well I guess we all have to have options right? And I guess they are slightly different, I mean, that piece of hair definitely looks like it's in a better position here than there! 4. The struggle of sending a message on twitter or facebook but not having emojis to fully illustrate how you're feeling about the conversation. The frustration is real. Using <3 and :) just do not cut it anymore! I feel like a 12 year old! 5. That mini heart attack you have when you come across an old friend or ex's instagram and scroll through their photos only to accidentally click the heart from 95 weeks ago. NO NO NO! MUST.BURY.MYSELF. IN.MY.GARDEN......NOW! 6. When you're shopping for clothes, home-ware, or even buying a coffee you buy the one you know has the prettiest design for no other than instagram. Doesn't matter how it looks on me or tastes...if it's pretty it's a must buy! 7. Ahhhh bath time...the most relaxing and least stressful of times.....but wait....must have my phone in case I miss a tweet or blog post or argument on a facebook status! 8. You can't help but post photos with quotes like 'All I care about is my instagram and maybe like 3 people' on instagram without the caption 'Totes Me' at the bottom. 9. You're on a family holiday without your phone or wi-fi and your family start to compare your lack of 'essentials' to being without water in the desert. But, I'm seriously not that obsessed. 10. Finding the perfect picture or instagram quote and tagging a friend in it to tell them that 'this is so you' instead of just telling them what they are like to their face. Whatever happened to lovely compliments to their face?! 11. Writing a status on facebook or a message on your phone and worried it won't be 140 characters long! NO! WE ARE NOT ON TWITTER ANYMORE! There is no word limit! I really enjoyed writing this post. I decided to put together a few things that I know I definitely do and some I know other people do as well! I definitely need to go to social media rehab! 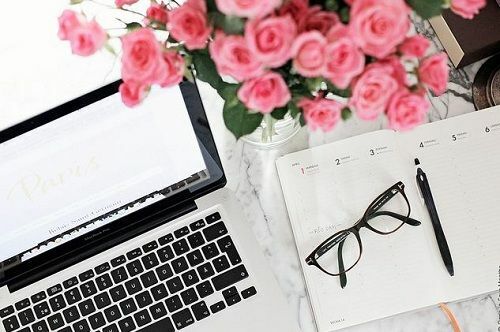 If you can relate to any of these things or maybe know other signs that show you're obsessed with social media then be sure to leave a comment down below! Are you social media or internet obsessed like me? What will you be doing to combat this? Great idea for a blog post to be honest, I have done most of them at least once in the past! Oh jeez, I am guilty of most of these haha! Great post! !